Gift cards lead the way, but exciting deals are almost impossible to find. When Apple teased us with a four-day shopping event for Black Friday this year, we were intrigued. 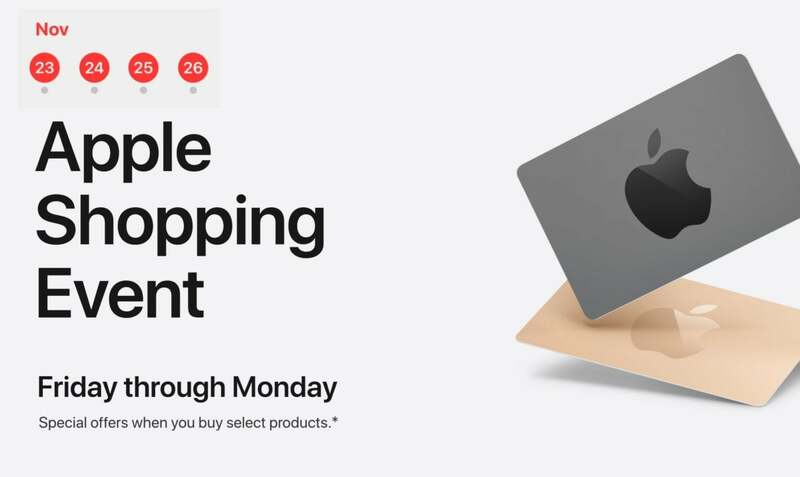 Not only does Apple historically treat Black Friday as a single-day affair, ignoring the rest of the weekend and Cyber Monday, it also doesn’t offer much in the way of any real savings on its newest products. So we were hopeful that things might be different this year. The best deal here is probably the 13-inch MacBook Pro with Touch BarRemove non-product link, which brings the effective price down to $1,599. We wrote an extensive comparison of Apple’s smaller notebooks, but that configuration is well worth that discount, with 256GB of storage, an eighth-gen processor, True Tone display, and four USB-C ports. But otherwise, you'll find better deals on these products elsewhere.